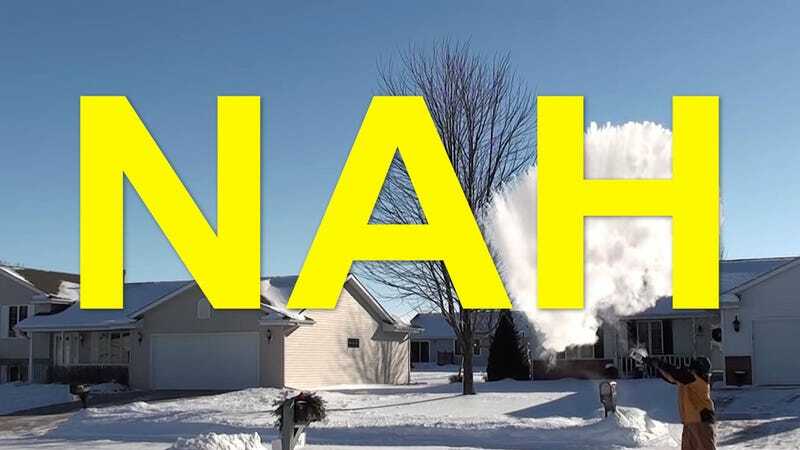 Three years ago, it seemed like everyone experiencing near-zero temperatures stepped outside with a pot full of boiling water and flung it into the air to make instant snow. Not surprisingly, many of those same people—including a pair of Kentucky meteorologists—scalded themselves in the process! Even on a frigid winter’s morning boiling water is very hot, you see. With two-thirds of the US now experiencing a brutal cold snap, local news indicates this extremely bad and dumb stunt that injured 50 people in 2014 is back in force. 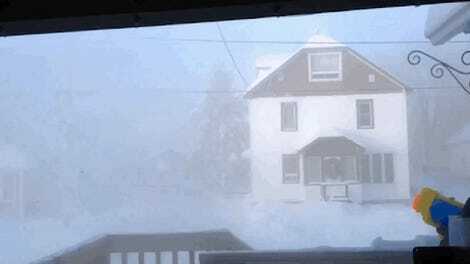 The Duluth News Tribune lists it first under “Cool experiments you can only do when it’s below zero”; New Hampshire’s Mount Washington Observatory (where it recently hit -30 degrees) performed the stunt on Facebook; a 37-year-old cafe manager’s account of attempting the trick was recycled by the Daily Mail, South China Morning Post, and Straits Times; the Weather Channel’s 5am show AMHQ encouraged fans on Twitter to film themselves replicating the trick. This very tech blog once described the nameless boiling cloud activity as “the most fun you can have with boiling water.” Hm. I’m yucking yums, and I don’t care. Here’s the problem: the snow trick relies on the Mpemba effect, the name given to water’s counterintuitive propensity to sometimes freeze faster when hot than when cold. But before it becomes a magical cloud of ice crystals, boiling water is still boiling hot. If a headwind blows a cloud of steam in your (or a family member’s) face, or if it’s less cold out than you thought—guess what? You’re going to the hospital with second-degree burns. Might we suggest a snowball fight, building an igloo, or just staying in bed until the Earth is a temperature more hospitable to human life? A four-second video that hundreds of people have made already is not worth explaining to the EMT where the blisters came from. With your discretion, we can close out this garbage year without any more unnecessary injuries.